Dr. Frederick Weniger, of Weniger Plastic Surgery, has just received the honor of publication in the Aesthetic Surgery Journal (ASJ). The ASJ is the official publication of the American Society for Aesthetic Plastic Surgery. His case report on "Postoperative Granulomas at Liposuction Incision Sties" was published in a 2016 issue of the journal, though it was released on-line, publish-ahead-of-print, December 8, 2015. The report focuses on two case studies that resulted in the granulomas, their treatment, possible cause, and steps to take in the future. Dr. Weniger has long provided research for the Bluffton community. Now, part of his research can be viewed by other plastic surgeons as well, giving them the ability to help educate their patients, just as Dr. Weniger does for the Bluffton community. He is consistently working to educate the public. His motto is "Information is the Key", and he lives up to it. His dedication to help educate the community is something he is very proud of. Helping to demonstrate his commitment to the local community, Dr. Weniger worked closely on this scientific research article with Carlos E. Barrero Castedo, a sophomore undergraduate at Duke University and a recent Bluffton High School Graduate. Weniger Plastic Surgery, a state-of-the-art facility is a known and loved practice in Bluffton. Their commitment to excellence and patient satisfaction is their priority. Weniger Plastic Surgery offers patients comprehensive range of solutions that include breast enhancement, facial rejuvenation, body contouring, reconstructive surgery and other nonsurgical alternatives. Part of the facility includes a luxurious spa, "Lux-A Medical Spa", where you can enjoy treatments of all kinds. Though this is the main location where Dr. Weniger can be found, the good doctor makes himself available to the people of Hilton Head and the surrounding area, including Savannah, GA. All of the staff here are ready to welcome you and make you feel at home. Dr. Weniger is member of the American Society of Plastic Surgeons, The American Society for Aesthetic Plastic Surgery, and The American College of Surgeons. 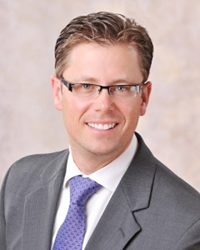 He is active in the community and was just recently voted Best Cosmetic Surgeon in Bluffton for the eight year in a row by Bluffton citizens in a Bluffton Today poll. He is known for taking time with his patients and listening to their needs rather than telling them what can be done. He knows that his patients have a definite view of what they want and he works diligently to educate them on what is available for their specific situation so they can make the right decision. For more information contact Weniger Plastic Surgery at 843.757.0123 for more on our surgical options, or set up a complimentary tour of our state of the art facility.